Many perspectives have been shared about the social and economic repercussions that the current third EU and IMF bailout proposals for Greece may have. The impact of these tough austerity measures is yet to unfold for the country, for the other southern states, or indeed Europe as a whole. But moving beyond a purely economic lens, there is already evidence about the extent of deprivation and youth unemployment of more than 50% during the past five years of the first and second bailout programmes, meaning that the likely effects of the third are easier to predict, at least for this generation. 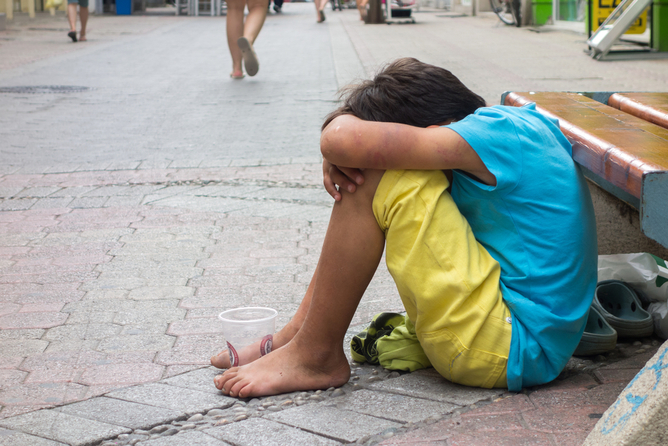 The links between poverty and a range of risk factors for child mental health problems and related outcomes is well established. Nevertheless, the reality hit home a few weeks ago when I joined the Children’s SOS Villages in Greece in training their prospective new carers, or “mothers” and “aunts” as they are widely called. These carers work in a similar way to foster carers and residential care staff in other welfare systems. The villages were established in Austria after World War II to care for orphan children and since then their model has successfully spread across more than 120 countries. Their model may slightly vary, but their target groups are typically children without parents, for a range of reasons, or those who have been abused and/or neglected. Consequently, it came as a surprise to realise the extent of child abandonment (neglect, an inability to care for them or even asking social services to look after them) for predominantly financial reasons since the beginning of the Greek crisis. The organisation has responded by diversifying its remit in Greece. In the absence of an increasingly stretched health and social care sector, they have now extended their services beyond the traditional villages to support, relieve and prevent abuse and neglect, running eight social centres in Greece’s major cities to help keep families together. A 2014 UNICEF report said that child poverty in Greece had almost doubled from 23% in 2008 to 40.5% in 2012, with migrant children particularly vulnerable. It found average family incomes were at 1998 levels, and 18% of households with children unable to afford a meal with meat, chicken, fish or a vegetable equivalent every second day. But do parents really abandon children because they cannot feed them? Is this an alien pattern for the “developed” world, or just an accentuation of multiple vulnerabilities that were there in the first place? The answer is possibly both. Parents do not neglect their duties simply because they are poor, although a number of poverty-related factors such as overcrowding, poor housing, lack of basic needs and, crucially, unemployment, can adversely affect their own mental health and their parenting capacity. These in turn interact with the direct impact of deprivation on their children, things such as social exclusion and neighbourhood criminality. In the absence of protective factors like school attainment and sense of identity, it increases the risk of abuse, neglect and child mental health problems that can persist into adolescence and adult life. So, is this evolving European situation different? And should we be alarmed about the potentially lasting effects on children and young people in this climate of austerity? Some characteristics of the socioeconomic circumstances in Greece, Spain and Portugal are different to what families may have faced in the previous 20 years. There has been a continuous deterioration of living standards, increasingly below the poverty line, now also affecting once stable and prosperous middle class families. Exorbitant living costs contrasted with high unemployment for parents and youth alike have resulted in collective hopelessness, anger and marginalisation for large communities. Worryingly, these same communities in southern Europe now lack the protective family and social support networks of traditionally knit or rural societies, which have collapsed in urban centres, often because of internal migration. If one adds the limited and constantly shrinking public welfare and health sector services, this imbalance is unprecedented, with unknown outcomes for Europe’s new generations. This does not exclude the north, where there have been dramatic public service and welfare cuts in England, with a corresponding rise of children living in poverty. But in Greece the scale of austerity means that the fallout is not likely to be reversed until there is sustained economic growth with new opportunities for their children and youth.